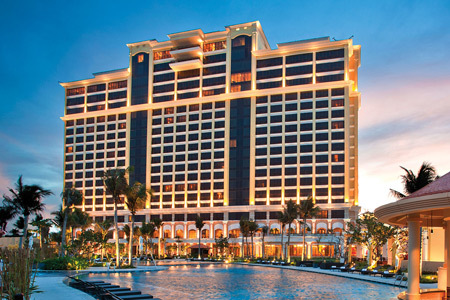 Ba Ria-Vung Tau (VNS) - The Grand Ho Tram Strip resort and casino in Ba Ria-Vung Tau has won the 2015 Luxury Travel Guide Award for luxury hotel and spa of the year in Viet Nam and the Business Destinations Travel Award for best luxury hotel in Viet Nam. Its president, Michael Kelly, said it has also won another international prize without revealing details. The Luxury Travel Guide Award is judged by an international panel of hospitality industry veterans and professionals for the Luxury Travel Guide, a UK-based publication. The Business Destinations Travel Awards are given by the British magazine Business Destination whose readers are over 100,000 company owners, directors and other key people in the world of travel, tourism and MICE industry.